Hunter Gilliam graduated from Fuqua High School. When he wasn’t hitting the books (his favorite classes were government and English), he was hitting (and catching and throwing) baseballs. He must have spent a lot of time on the diamond because he got good enough to make Longwood’s Division I baseball team. He’ll be majoring in kinesiology, which is a great complement to his interest in sports. Judging by the number of people helping him move in to his residence hall, Hunter’s family is pretty close. His father is a Longwood graduate, and rumor has it that one of his grandmothers makes a really good pound cake. I enjoy watching my friends play college football on the weekends. I also enjoy spending time with rabbit beagles. After 3 weeks of being on campus I couldn’t be happier with the place I now get to call home. From week one, the professors treated me so nicely and were so wiling to help. This shocked me at first because all through high school I had the impression that professors weren’t willing to help and you had to figure things out on your own. This isn’t the case at Longwood. From the start, I felt like I could come to my professors with anything and they would be willing to help. On the athletic side of my experience at Longwood, I was in for a culture change—but one that I’m so happy to be a part of. 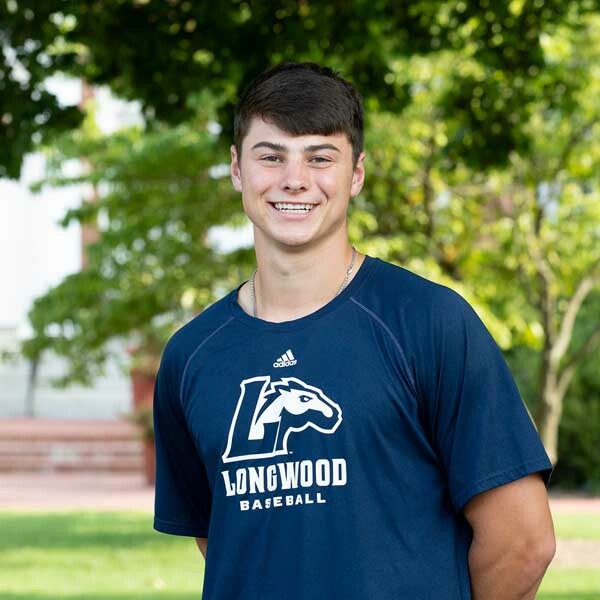 Balancing baseball practice and school is tough, but it will all be worth it to be able to put on the Longwood jersey in the spring. The toughest part has to be the early morning conditioning, but it makes it so much better to have friends going through the same thing. I honestly think the best thing about my first three weeks is how easy it was to make friends. I met people in these three weeks that I can already tell I will be friends with for a long time. All of this has happened in three weeks. I can’t wait to see what the rest of the year has in store. Giving the move-in cart the heave-ho. Move-in day was truly one of the most life-changing days I’ve ever experienced. Before move in, I was nervous about everything involved in the way the next four years of my life was going to go. I was nervous for how I was going to get used to my roommates, and living in a room so much smaller than the one I was used to at home, and the fact that I wouldn’t have my family around all the time. For Hunter, one of the hardest things about moving in was saying goodbye to his Mom. But everything changed as soon as I pulled into Longwood on move-in day. When I saw all the happy faces and people so willing to help, I knew this was going to be a good place where I was going to thrive in all aspects. The people outside of my residence hall were so eager to help and provide any service that I needed. When I got all my stuff in my room, I was so excited to start hanging out with the people on the hall and getting to know the people who are going to be around me for the next year. The first night in my room I didn’t get much sleep, as everyone was in and out of everyone’s room hanging out and getting to know each other. The hardest part about move-in day was saying goodbye to my mom. Even though she doesn’t live too far away, knowing I wouldn’t be seeing her everyday was tough. 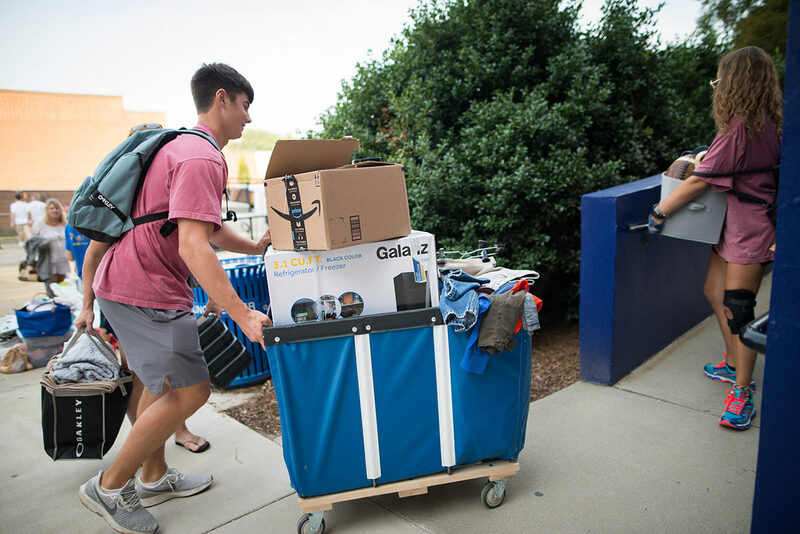 Move-in day made everything real: College was no longer something that I was going to do in the future—it was happening now. I will never forget that first day, seeing the endless hugs to family members and all the clothes that everyone brought with them. Move-in day was really the first step in my four-year journey at Longwood.